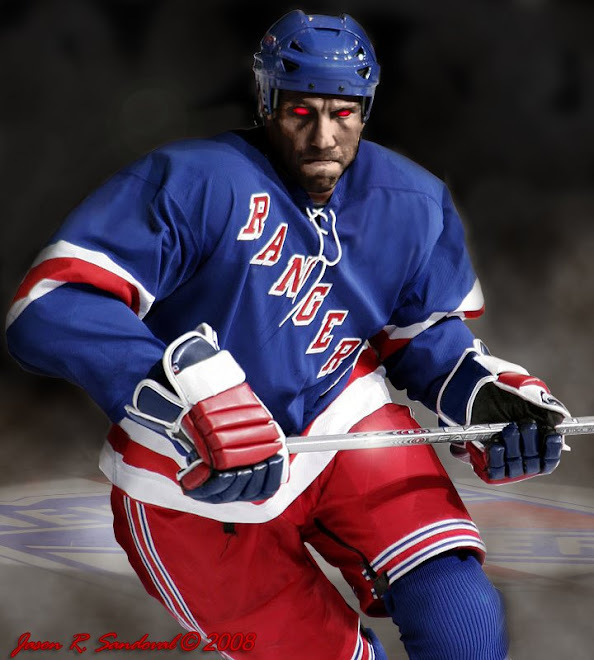 The Dark Ranger: "I Swear Ref....Avery Poked Me in My Eye!" thats great - you know avery is the all round best stirrer upper! Avery not only stirs it up he announces to the press that he's going to stir things up. So when teams expect him to say crap during games, he still gets to them and he draws penalty mintues. what do you think he says? Nothing against The Leafs franchise, though The Dark Ranger loves picking on Mr. Darcy (Tucker)- and so does my Sean Avery. If anyone effectively razzled Tuckie this season, it was that last Leafs-Rangers match.